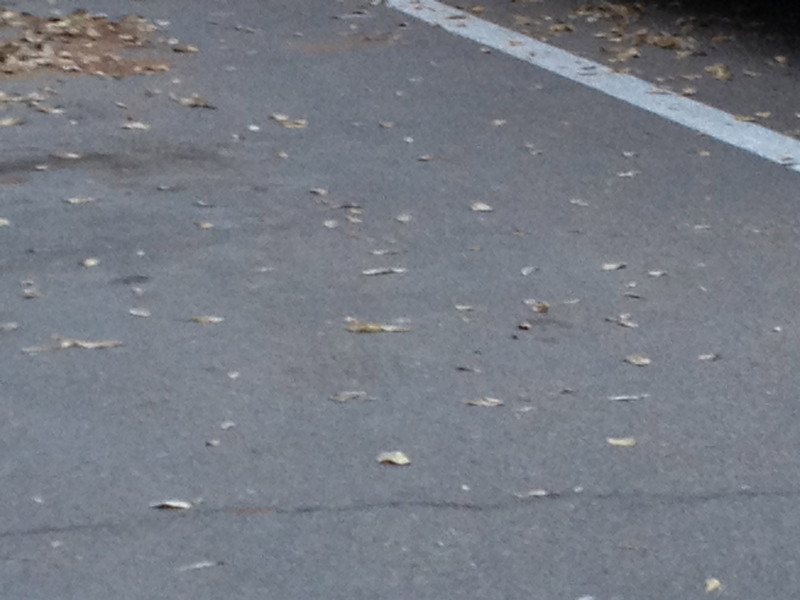 98 Days ’til 40: Leaves on Asphalt | Fortuitous Forty!!! Today, 98 days ’til 40, I am reminded of one of those special childhood moments – playing in the autumn leaves! Haven’t seen a huge pile around here, 400…and last time I did that I was in my mid-30s! Would love to, again…I did find a rather small 3″ high pile at the neighbors, and crunched through, kicking them everywhere! They were gone the next day 😦 !!! 😦 but that crunching must have been so much fun! Crunchy leaves are quite delicious. Unfortunately, here in Scotland, they have reached that squelchy stage. They’re slippy and gooey. Yes, I do not like the gooey stage….. but I need to definitely find the crunchy pile to leap into! I need to go there to play…. more than welcome to play in our playground, anytime. hahaha…sounds like something I will do even now, but when no one’s watching of course =P Anyway, I just want to let you know that I’ve nominated you for the Liebster Award: http://knitxpressions.com/2012/11/15/a-liebster-award/ I have really enjoyed reading your blog and reflections. You need not accept it of course but do know that I really think your blog deserves a lot of credit =) Have a lovely Friday!! You are never too old to play in a pile of leaves.